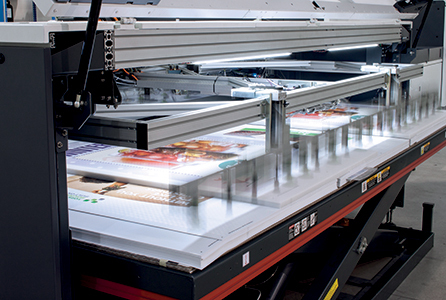 We all know just how competitive the sign industry is at present when it comes to wide-format print. And while it has become quite a crowded sector due to the influx of traditional printers diversifying their services, other areas such as textile print are also becoming popular due to the number of firms having identified an increase in demand for such products. However, one market that has grown in size but has not attracted as much interest is that of trade printing. The call for work in this sector has increased significantly in recent years, but much less is written in the trade press about using it to diversify into the market. This seems quite confusing, given the ever-growing level of wide-format print volumes produced every year across the UK. Taking this into account, what sort of work is available in the trade printing sector and how can companies gain access to such jobs that could help propel their business to the next level? 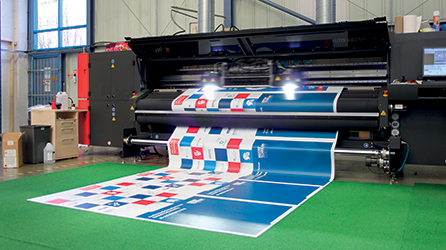 One company that has established itself as one of the front-runners in the trade print sector is Venture Banners, a trade-only large-format print supplier. 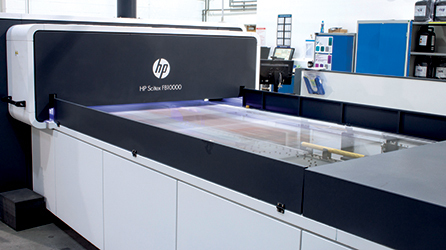 Scott Conway, sales and marketing director at the company, says its raison d’être is to afford the print trade access to the large-format print market utilising its economies of scale. Conway explains: “100 percent of our work comes from the trade, we actually won’t supply to anyone else other than print trade. I’ve always thought printers who offer both trade and retail work as having a conflict of interest, trying to play both sides of the fence as it were. Glancing at the state of the current trade market, Conway the sector is busy, pointing to Venture Banners’ success in the last twelve months as evidence for an increasing demand for work. However, he issues a warning to those considering expanding into the market—suggesting that a partnership with a more established company like Venture Banners would be more beneficial. Conway comments: “With a 21 percent increase in sales last year and the same forecast for 2015, we are busy and we can only see more growth in the trade market. 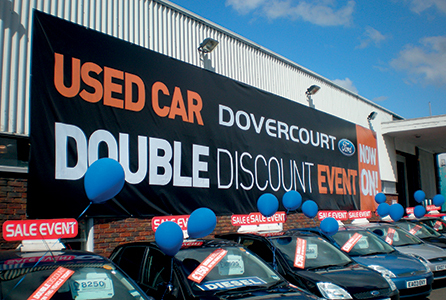 Yes, you can buy an entry level printer for the price of a second-hand Mondeo, but that won’t give you the capacity to produce any volume of large-format print, especially when the thing takes most the morning just to print a roller banner. “A lot of our customers have their own machines, but they use them for the more profitable, niche areas of the market, they trust us with all their banners and exhibition stands. “There are several things that sets Venture Banners apart from the competition, first and foremost is our commitment in only dealing with the print and sign trade. 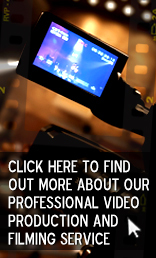 I think that gives our customers peace of mind and propagates trust. Keen to build on success in the last twelve months, Conway gives an insight into the company’s expansion plans for 2015 and beyond: “We are certainly not a company to sit on its laurels! We are days away from bringing a whole new range of products to market that our customers will be able to make a tidy profit on. Elsewhere, Route1Print is an online trade printer that specialises in small-format digital and litho, as well as wide-format printing. With a client base ranging from sign-makers to high street copy shops, the firm has taken on a whole host of work from the trade sector since being established in 2012. Speaking about the market as a whole, Jack Wilmott, channel manager at the company, believes the sector is growing and Route1Print will benefit as a result. He comments: “I would say there is a lot of movement in the trade print market at the moment and, if anything, I would say the market is growing for a number of reasons. up their own equipment in favour of outsourcing. “Secondly, there is a growing section of graphic design professionals, marketing agencies, and even web designers that are extending their offering to include supplying print, which compliments their services very well. With this growth likely to attract more players to the sector, Wilmott remains confident that Route1Print will continue to flourish due to the quality of service it provides. Wilmott explains: “I think there are a number of factors that set us apart. Firstly, a lot of print companies are too focused on being production orientated and, while I’m not disagreeing with this approach, it can lead to this belief that price trumps all. “What ends up happening is that everybody gets dragged into a price war that erodes each other’s margins. Offering a competitive price will always be an important factor but we do not simply define ourselves as a trade printer on the basis of our prices. Wilmott concludes: “Secondly, we feel some printers are using e-commerce as a way to completely automate their offering and reduce the number of people in service roles, which we know alienates the more traditional print buyer. This is why we are conscious not to completely dehumanise ourselves and make sure we can provide a level of service people still require and expect. 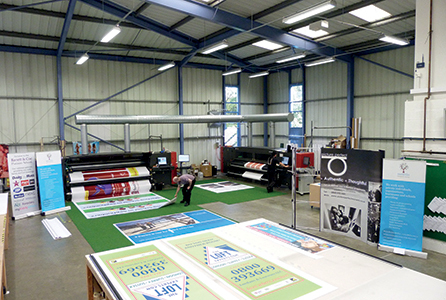 Meanwhile, the aptly named Tradeprint is another company very active in the market—with a very significant pro-portion of its work coming from sign-makers diversifying into providing commercial print alongside their more traditional large-format offering. James Barrett-Burnage, head of marketing at the company, says an improving economy, coupled with an abundance of technology, are two main factors helping this market expand further. Tradeprint has a large section of the market covered, with its services ranging from something as small as business cards and flyers, right through to posters and large-format material. The company last year also installed an automated eight-colour long-perfector B1 KBA Rapida 106 to boost its service offering. However, when quizzed about the main reason behind the firm’s success, Barrett-Burnage had no hesitation in pointing to PrintGateway, a reseller platform that was developed in-house. He explains: “When run lengths and prices began to fall across the industry, we took the decision to not just embrace the change but to welcome it. We invested in developing our own software to maximise efficiencies, making short-runs not only viable but profitable. “Evolving our industrialised lean manufacturing model, we drastically reduced production times, power consumption and wastage. Our processes are now fully automated—from point of purchase to production, our work-flow is seamless: 97.65 percent of our jobs flow automatically. “Our PrintGateway reseller platform was developed as a response to the pressures and external competition we saw across the print sector. Print-Gateway is designed to allow printers to painlessly expand or develop an on-line offering, opening new markets for trade printing where costs previously made the opportunity unachievable. With this in mind, Barrett-Burnage casts his mind forward to the future and speaks positively about what the next year will have in store for Tradeprint: “2015 promises to be an exciting year for Tradeprint. We aim to further streamline and automate our systems, using both software and physical processes, allowing us to become even more competitive and efficient. We are working towards patentable unique production methods and perfecting a comprehensive online proofing system. From speaking to companies already active in this sector, it seems that there is plenty to be said for expanding into trade printing. However, with competition rife amongst those already established in the market, a potential move should be planned out properly in order to make the most of the work available. With a wide range of CNC routers on the market, how can printers avoid under- or over-specifying when investing in kit? Help is on hand as Jane Allardice discovers ... .. ... ... ..
Workflow Software... .. ... ... ... .. 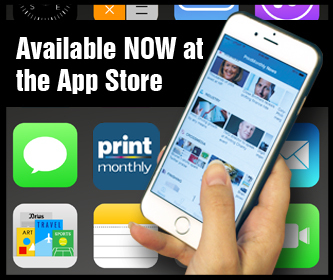 Printers are becoming increasingly aware of the impact that quality software can have on a business. Rob Fletcher looks at the latest workflow solutions and how it can help... .. .
With a wide range of CNC routers... .. .